All athletes have to eat well and be mindful of the food they are putting into their bodies. Proper nutrition is essential not just for overall health and wellness, but also to properly fuel endurance athletes properly so they can perform at peak levels. If you’ve ever heard the old cliché, “garbage in, garbage out” you know there is some truth to it, especially for athletes who must maintain a strict, yet balanced diet. To gain a competitive edge, they have to train every day. Training every day is hard on the body and recovery can be difficult if the body isn’t properly fueled with the food and nutrients it needs to meet the demands that are being placed on it. 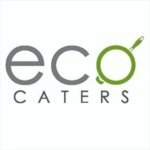 Organic catering has become increasingly popular with sports teams and fitness clubs alike. Sports performance and nutrition are intricately tied together and where nutrition is overlooked, athletic performance suffers. This is because everything an athlete eats and drinks while training can have an impact on their performance levels, their strength, and their recovery times. Not only that, but what they consume when not training is just as important. Continue reading to learn more about sports team catering and how food fuels performance. Good health, nutrition, and fitness are all cumulative. You can’t eat junk all week long, eat well on training days, and expect performance not to suffer. Food is fuel and should be thought of as such. When you feed your body the right fuel, it can break the food down and absord the most necessary vitamins and minerals. Feed your body the wrong fuel and it’s like pouring salt in an engine. You may not notice the effect right away, but over time, performance suffers. Not only do proper nutrients fuel the body and give an athlete plenty of energy, it also helps to maintain weight. This can be especially important in sports where an athlete’s weight matters, such as gymnastics or wrestling. It’s not healthy to severely restrict your calories to lose or maintain weight. 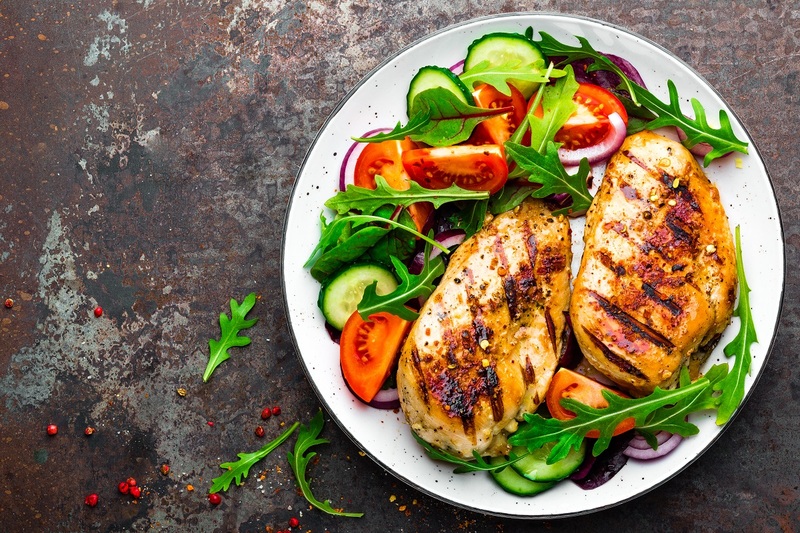 Rather, it’s much more benefitical to maintain a healthy balanced diet by making a conscious effort to fuel your body with a level amount of lean meats, fruits, vegetables, fatty acids, and complex carbs. One of the biggest things you can do to make sure you are fueling your body well is to eat plenty of fruits and veggies each day. Both fruits and veggies are considered “live” foods. Live foods are packed with a variety of nutrients that and help give your body the energy boost it needs to operate at optimal levels. Incorporating the perfect amount of these live foods also helps the body recover faster, from both the stresses of training as well as from illnesses and common colds. The biggest key when consuming your fruits and vegetables is to make sure you are eating a variety of them. Many people often fall into a dietary rut and find themselves consuming the same food choices, over and over again. Unfortunately, even if what you’re eating every day is something healthy, like bananas … if you aren’t eating a variety of foods along with those bananas, you simply aren’t achieving the complete extent of nourishment that your body truly needs. While the carbohydrate component in fruits and veggies is essential, you may need even more than that if your training schedule is very strenuous. For heavy trainers, you should make sure you are getting plenty of complex carbs from whole-grain sources too, like brown rice, whole-grain pasta, and whole-grain bread. Do yourself a favor and stay away from any refined products. You might as well eat sugar by the spoonful. It’s of no benefit to your exercise performance and nutrition. A good rule of thumb to remember is, if it’s white (white bread, white pasta, white rice), it’s probably refined and therefore not a great source of fuel for an athlete. Though it can be tempting to load up on any kind of carbs when training, eating the right kind of carbs is much more beneficial. Maybe next time you are craving starchy foods, instead of reaching for the white potatoes, try substituting sweet potatoes. Consuming the wrong kind will slow you down and reduce your athletic performance. Make sure you’re incorporating plenty of healthy fats into your meal plan in each day, in order to maintain performance sports nutrition. Healthy fat serves as an energy source just like carbs, but unlike carbs, healthy fats will keep you feeling full a whole lot longer. Healthy dietary fats include real butter (grass-fed), coconut oil, olive oil, and avocado oil. You can also get your healthy fats in by eating cashews, avocados, and raw peanut butter. All are high in fiber and fat content, making them an excellent snack for sustaining energy levels. Be certain you are eating adequate amounts of protein. Protein is considered one of the building blocks muscles use to make repairs and grow. Athletes that don’t get enough protein will find their recovery times last longer, they could suffer from muscle weakness, and they might even get sick more easily because their immune system becomes compromised. It’s a cycle that if not corrected can lead to other health issues, like lethargy, fatigue, anemia, and even something called over-training syndrome, which can contribute to the breakdown of muscle mass. Athletes must eat enough grams of protein, especially athletes that exercise very frequently. 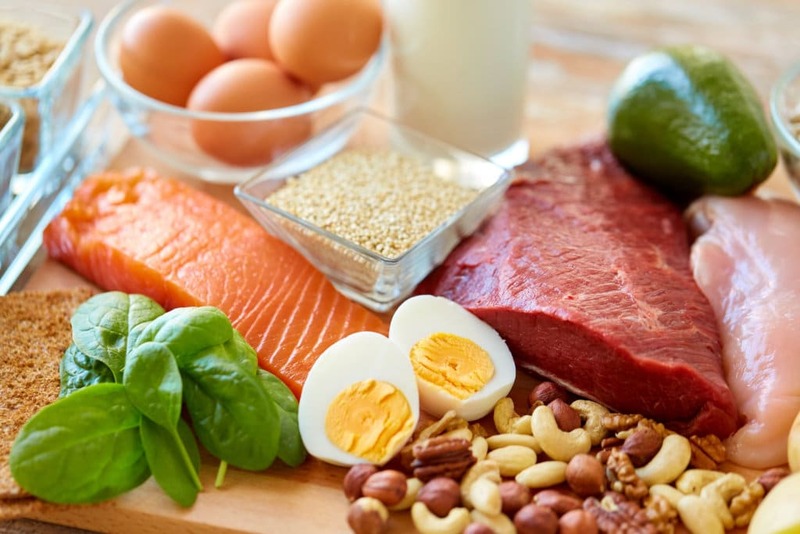 Think lean meats, eggs, legumes, nuts, and nut butters. Some dairy is acceptable to add to your meal plan, such as Greek yogurt. Athletes need to hydrate well before, during, and after a workout. During strenuous exercise, the body loses fluids along with important minerals and electrolytes. If those fluids and electrolytes aren’t replaced, the body becomes dehydrated. Dehydration can hinder an athlete’s performance. Dehydrated athletes can experience muscle fatigue. They can also experience a decline in coordination, concentration, and energy levels when partaking in any form of physical activity. Sometimes sports drinks may be necessary as a way to quickly replenish what the body has lost, but when all else fails, there’s nothing better for the body than pure water, and plenty of it. It is important to remember that fatigue and low energy can be tied to protein deficiency or dehydration, therefore when feeling bogged down, avoid energy drinks and supplement plenty of water or a protein shake to gradually increase vitality. There’s nothing that impacts the performance of endurance athletes more than the food they put into their bodies. Sports performance and diet go hand in hand. If you aren’t feeding your body what it needs to thrive, your performance as an athlete is probably subpar, whether you realize it or not. It is vital to understand how food fuels performance so that you can set your body up for success and reap the rewards.